Two weeks ago, I traveled to the Jacob Javits Convention Center in New York City to attend my first-ever trade show – NRF 2019, appropriately coined the “Big Show” by all who exhibit and attend, including top retailers, tech titans, and thousands of industry professionals. With the innovative designs and sheer size of every booth, the executive, sales and marketing staff coverage of the event and the impressive solution demos, emerging technology and cutting-edge ideas; the show truly lived up to its “big” name. For three days, I was a small fish in the Great Barrier Reef of retail, navigating my way through a thriving digital ecosystem and rubbing elbows with industry leaders who are changing the retail technology game. Walking around the trade show floor, I not only saw the future of retail through the unique vision and product offering of each exhibitor, but I also observed how invested brands are in learning, networking and ultimately taking away ideas which will help drive their businesses forward in this competitive world. 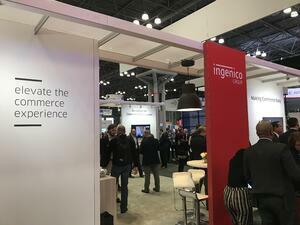 The most rewarding aspect of the experience for me, however, was the opportunity to attend NRF as a member of the Ingenico team.  Since joining Ingenico in June of 2018, I have observed the company extricate itself from the chrysalis of simply being a payments technology provider and metamorphize into a payment solutions company with an ardent focus on becoming more customer-centric and providing long-lasting support for merchants and partners. The conversations at our booth focused on an array of topics but stayed grounded to three key insights: agility across payment technology operations to enable new growth, delivery of differentiated solutions and hardware technology, and the importance of providing merchants with the support they need to deliver superior customer experiences. Not only was NRF hugely valuable for the company at large, but it was also hugely valuable for me personally, both as an employee of Ingenico and as a young professional. I had the opportunity to interact with the full sales team and see them in their element as they met with customers. By observing and partaking in these conversations, I was not only able to absorb the key techniques that go into developing and maintaining relationships with Ingenico’s partners and merchants, I was also able to establish in-person relationships with customers whom I interact with on a weekly basis through email or phone calls. I gained specific knowledge regarding the relationship between the software and hardware components of Ingenico’s business, as well as got a better grasp on our partner relationships and how they work successfully. I gathered key information on what our customers are looking for in terms of service and products which, through those insights, helped me identify areas where I can personally improve and enhance my performance to make the customer experience with Ingenico top-notch. 1. Leave your hotel early: With nearly 38,000 attendees at NRF 2019, finding a cab or Uber wasn’t a walk in the park, nor was the drive to the convention center! If you like fresh NYC air (interpret as you may) and don’t mind a brisk walk in the morning (depending on your vicinity to the Javits Center), I say bite the bullet and get there on foot. If that isn’t your ideal method of travel, aim to be walking out of breakfast as everyone is walking in – the early bird gets the worm (cab). 2. Wear comfortable shoes: Save yourself and your toes the misery and wear shoes that you can bear standing and walking in for 9 + hours. From personal experience, I can assure you that you will smile far more in flats than in heels – and who doesn’t like to smile? 3. Take time to walk the show floor: As I stated earlier, the Javits Center truly felt like the Great Barrier Reef of retail, and I mean that in the most descriptive way possible. The booths are a sight to be seen and the technology is even more impressive. Visiting the exhibits is also a great way to network and meet new people in the industry. 4. Be engaged: This one speaks for itself. Take advantage of every interaction and learning experience that comes your way. 5. Ask questions, because there is so much to learn!